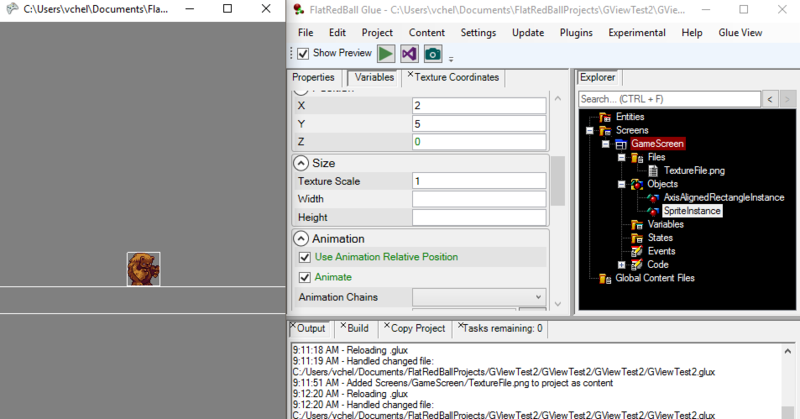 The Glue Preview functionality (also known as GlueView) provides a real-time view of Screens, Entities, States, and Objects. 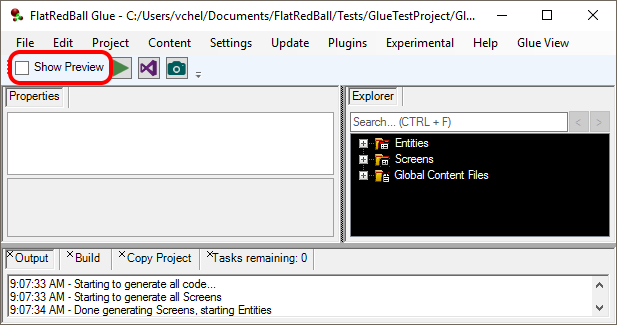 To turn on Glue Preview, click the Preview check box. A window will appear displaying the selected screen or entity.